We are pleased to announce the appointment of Bill Stevenson as Brigade Secretary and Chief Executive. Bill has been the Director for Scotland since 2009 and moves to take up this appointment with immediate effect. Best wishes to you Bill Stevenson. 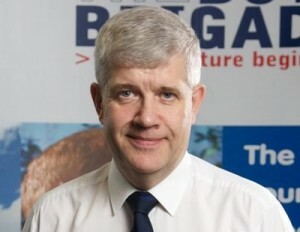 It was great to hear of the appointment of Bill Stevenson to the position of Brigade Secretary and Chief Executive. Bill has been highly thought of for the last twenty five or so years that I have known him. article about Bill. Well done. Congratulations on your appointment, well deserved. Party plans?